Dr. Tejinder Bhatti MBBS, MS(General Surgey), M.Ch (Plastic Surgery), having illustrious experience of more than 23 years is the director of one of the leading Hair Transplant Clinic of India- Darling Buds. Dr. Bhatti received his undergraduate degree from AFMC, Pune in 1985 and went on to complete his Masters in Surgery and thereafter super-specialized in Plastic Surgery (M.Ch) in 1997. Besides, he has achieved fellowships from various national and international institutes such as, Association of Surgeons of India, International College of Surgery (Chicago, USA), International Medical Sciences Academy, Fellow of Restorative & Cosmetic Surgery. Dr. Tejinder Bhatti has visited and trained at renowned hair transplantation centers at Detroit, Kentucky, London and Denver. Dr. Tejinder Bhatti’s professional accomplishments result from a dedication to knowledge that has frequently taken him around the world to learn the latest, most effective surgical methods in hair transplant surgery. 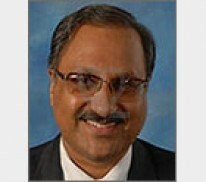 To his credits, he became the Founding Secretary of the AHRS-India (Association of Hair Restoration Surgeons, India). For his efforts, he was invited to the Global Council of the ISHRS (International Society of Hair Restorative Surgery) to represent India in the International Forum. Dr Tejinder Bhatti has also been honoured by the FUE Europe Society as its Ambassador. The President Dr Ludger Mentrup and Dr Marc Costin presented a plaque to him at a special ceremony at Amsterdam on 18 Nov, 2012. Besides, he was appointed Governor for Chandigarh region of International College of Cosmetic Surgery in 2000. Due to his vast experience and standing in Plastic Surgery, he was appointed as an Examiner for Board Certification of Plastic Surgeons of India by the National Board of Examinations, New Delhi, in 2005. He is also Teacher & Examiner in Plastic Surgery at the University of Pune, Armed Forces Medical College, Maharashtra University of Health Sciences, Gandhi Hospital and Hyderabad University. Due to his interest in research work and ethical treatment, he was appointed as Joint Editor of the prestigious peer-reviewed Indian Journal of Plastic Surgery. His publications and research are in the field of newer techniques in hair transplant surgery. He has avidly presented papers at many national and international meetings.